Sun Pharma’s consolidated revenue for 12 months till March 2016 stood at around US$ 4.3 billion. The Indian pharmaceutical giant is set to acquire 85.1 percent stake in JSC Biosintez, a Russian pharmaceutical company, for US$ 24 million, in a deal worth US$60 million. Sun Pharma, the Indian pharmaceutical giant, announced it is looking at acquisition of a stake in JSC Biosintez, Russian pharmaceutical manufacturer based in the city of Penza. Biosintez is a part of Biotec group, one of Russia's largest Pharmaceutical Distributors, controlled by Boris Spiegel, an influential businessman and politician (who represented Penza in the Russian Federation Council from 2003 to 2013). 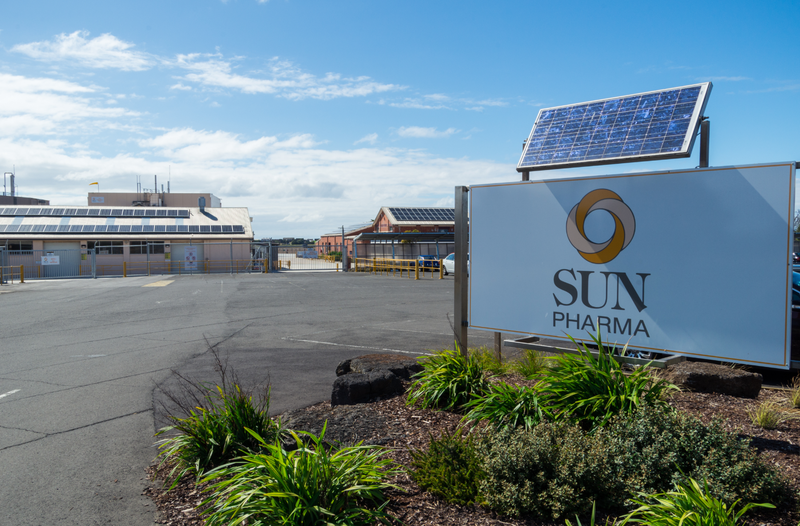 The company’s official statement said Sun Pharma would acquire the 85.1 percent stake for US$ 24 million and would also assume the debt of approximately US$ 36 million as part of the transaction, taking the cost to US$ 60 million. The acquisition, expected to be complete by end of 2016, is subject to approval by the Russian Federal Anti-Monopoly Service and other closing conditions. Sun Pharma’s consolidated revenue for 12 months till March 2016 stood at around US$ 4.3 billion. 48 percent of the company's revenues come from the United States, while emerging markets (including Russia and CIS countries) account for just 13 percent of the company’s revenues. “This acquisition is consistent with Sun Pharma’s philosophy to invest in strategic Emerging Markets. This transaction gives us access to local manufacturing capability across multiple dosage forms in Russia, enabling us to serve the Russia pharmaceutical market more effectively”, said Aalok Shanghvi, Head of Emerging Markets at Sun Pharma. Aalok Shanghvi, a son of Dilip Shangvi, founder and managing director of Sun Pharma, has been leading company's business in emerging markets after Sun Pharma acquired another major Indian pharma major, Ranbaxy Laboratories, which had a considerable presence in emerging markets, including Russia and CIS, in 2014. The Ranbaxy deal, valued at around $4 billion, helped Sun Pharma to become India’s largest drug maker, with a local market share of 10 percent, and the world’s fifth-largest generic drug maker by sales. Commenting on the Ranbaxy deal in March 2014, Dilip Shanghvi, MD of Sun Pharma, told RIR the company was looking to become a more meaningful player in the market and was exploring the possibility of localizing manufacturing in Russia. Acquiring Biosintez, would be part of company's long-term strategy for the Russian market. Artur Valiev, Country Head, Sun Pharma, Russia, the deal with Biosintez is an important milestone for Indian company. “The acquisition signifies Sun Pharma’s commitment to Russia and the Russian 2020 plan for localization,” he said. Biosintez's annual revenues were US$ 52 million in 2015. The company, which has a manufacturing facility established in 1959 in Penza, and specializes in pharmaceuticals for injections, blood substitutes, blood preservatives, ampoules, tablets, ointment, creams, gels, suppositories, APIs, has been struggling to make ends meet for several years. In the first half of 2016, Biosintez incurred losses of around US $ one million (65 million rubles). The largest shareholders of Biosintez, according to company's latest reports, are MFPDK Biotec, LLC (39.8%), Intermedfarm LLC (34.1%), Biopreparat LLC (10%) and Pharmatcia OJSC (9.3%). MFPDK Biotec is also a part of Boris Spiegel's Biotec group while other companies are partly controlled by the businessman and his family members. According to a source in Biosintez who did not want to be named, the news of Sun Pharma exploring opportunity for acquisition came earlier in February when the Indian giant started the audit exercises. One of company's latest disclosure reports published on October, 31, states the Board of Directors has decided to include several candidates proposed by one of the stakeholders, Pharmatcia OJSC, to be elected as new board members. The list of candidates included four Indian names: Arvind Kumar, Vivek Mittal, Arvind Abrol and Arun Kumar Rajput. Commenting on the deal, Timur Nigmatullin, Finam Investment Holding's analyst, noted that according to SPARK, Biosintez revenue was up 70 percent from the previous year while the operating profit more than tripled. “Taking into account the dynamics of financial indices and their nominal value – the price that Sun Pharma paid for the 85 percent stake in the company and the assumption of debt looks very favourable from the point of view of the buyer,” he said, adding that the deal is unlikely to affect Russian market significantly due to the small size of Biosintez's business. Acquisition of Biosintez is the first deal for Sun Pharma in Russia & the CIS region. However, it is not the first deal involving Indian pharmaceutical majors. Another Indian pharma giant, Lupin Limited, announced in July 2015 the acquisition of 100 percent equity stake in “Biocom” LLC, Russian generic pharmaceutical company established in 1991. For over a decade, the Russian pharmaceutical market recorded double digit growth and both local and global analysts expect it to continue growing despite recent economic disturbances in the country. The market was worth over US$16 billion (1,259 bln rubles) in local currency terms in 2015, and around US$ 10 billion in dollar terms, 9.3 percent higher than the previous year, according to DSM Group. The market could grow by 8 percent in 2016. Nigmatullin notes that according to some estimates, generic medicines account for more than 90 percent of the Russian pharmaceutical market. Sales of generic medicines, especially those manufactured locally, have shown the largest growth in the first half of 2016, despite the overall market having shrunk by 4.2 percent to US$ 9.6 billion during the same period. “Pharma-2020 strategy has been quite effective. Since its inception, around 25 new plants have been build in the country and the share of locally manufactured drugs is closer to 60 percent, while in the government list of essential drugs they account for 68 percent,” he said. Although the Russian market is still dominated by imported pharmaceuticals (the market share of imported medicines was 73 percent in 2015), the government strategy for import substitution in this sector, ‘Pharma-2020’, has been able to increase the share of domestically manufactured drugs by 4 percent in 2015, DMS Group experts note. Mergers and acquisitions (M&A) in the biopharmaceutical industry skyrocketed in 2015, with the value of deals announced in 2015 totalling over US$300b, a new record for the industry, according to EY’s Firepower Index and Growth Gap Report 2016 released earlier this year. Dmitry Khalilov, EY Partner and Life Sciences Leader in Russia and CIS, said Russia is following this global trend towards greater M&A activity, with consolidation observed across the entire industry – from retailers to manufacturers and R&D players. “Foreign pharmaceutical companies are aggressively targeting opportunities to acquire both businesses and new products, including medicines at different stages in the developmental pipeline,” he said, adding that Russian companies are equally interested in acquisition opportunities, as they may benefit from government support for local manufacturers.